COLONIE – Theresa A. Thomas, 88, died Friday, August 19, 2011 at St. Peters Hospital surrounded by loving friends. Tessie was born in Troy, NY, and lived in the area all of her life. The daughter of James and Mary Thomas; Tessie was also predeceased by her brother, James Thomas. Tessie retired from the NYS Labor Department where she made many lifelong friends. She will be remembered best by her warm, loving and generous nature. She was a loyal friend to all she touched. Funeral services will be held in the Hans Funeral Home, 1088 Western Ave., Albany, Tuesday morning at 11:00, services will follow at 12:00 noon. Interment will be in the Evergreen Memorial Park, Colonie, NY. In lieu of flowers, memorial contributions may be made to the charity of your choice. 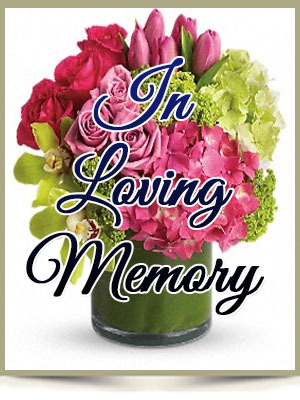 To leave a message of condolence for the family, send a symphony card, or obtain directions to the funeral home, please visit www.HansFuneralHome.com .